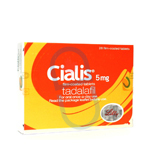 Cialis is an erectile dysfunction drug used to treat impotence. Erectile Dysfunction (ED) is a common problem, with at least one in ten men thought to suffer from the condition, the incidence increasing with age. 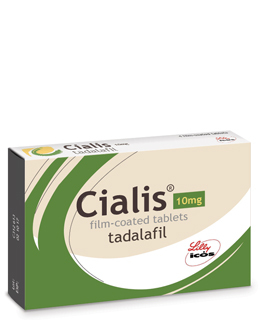 Cialis 5mg is taken as a single tablet daily, and is suitable for those patients who anticipate sexual activity at least twice weekly. Only 1 dose should be taken in any 24 hour period, but the dose can be reduced to 2.5mg once daily according to response. Cialis 5mg is supplied in boxes of 28 tablets.